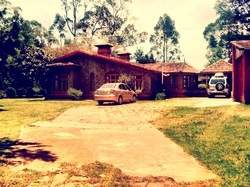 Fairway Inn is a one-of-a-kind cottage / homestay, that is one of the best places to stay in Kodaikanal. 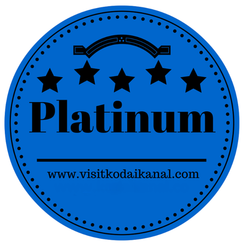 It has been the destination for royalty, celebrities, world leaders, industrialists and people from all walks of life who want a unique Kodaikanal experience. It has a Platinum rating for excellence and Green rating for a fully organic property with the use of both electric and solar power. 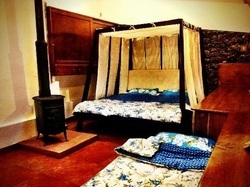 Better than a hotel in kodaikanal this is an exclusive cottage stay in Kodaikanal. A 190-year-old heritage property, with a rich history, culture and beautiful organic gardens that will complete your relaxing holiday. The location is central, secure, private and within walking distance from Kodaikanal Lake and a ten minute drive from the golf course. Fairway Inn provides luxury holidays for couples, families, and golfers. They also personalize your holiday based on your unique needs to make it an incredibly memorable experience. 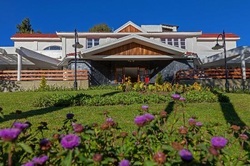 The Carlton is a hotel in Kodaikanal that stands at the edge of idyllic Kodai Lake with its colonial charm, stately rooms and pristine terrace gardens overlooking the water. There are various in-house activities at Carlton, of special note is the leisurely boating on the authentic Kashmiri Shikara. Avondale is a 100-year-old heritage house that was restored by one of the famous builders in Kodaikanal using bio architectural methods, natural materials like mud, lime, and natural paints. It is set in a 2 acre property right next to the golf course and only 5 km from town. There are 3 large bedrooms and a separate one-bedroom cottage. Hazelwood is located in a lovely one acre property near the golf course and was built by one of the most famous builders in Kodaikanal who wanted to create a large English cottage feel with brick walls and interior mud finish and natural paints. Surrounded by lovely gardens, it gives guests the chance to relax, unwind, enjoy delicious food and spend quality time with their spouse, children and friends. Guests escape from their busy day-to-day lives, relaxing in the rugged comfort of our mountain cabins and camp sites. 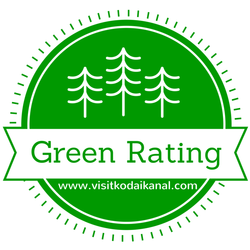 Located deep interior Kodaikanal, It has a Gold Rating and also a Green rating for being eco friendly. Natural Fitness is the preferred choice for fitness holiday enthusiasts from all over the world. 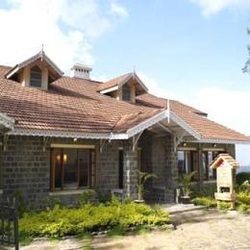 These luxury cottages are located in the town of Kodaikanal playing host to celebrities from India and around the world. At 7000 feet above sea level, it is an ideal location for high altitude training. Set amidst calm and peaceful surroundings with breathtaking views from the rooms and a well maintained garden, Villa Retreat is a hotel in kodaikanal and caters to honeymoon couples and small families. It is located not too far from town. The Fern Creek is at the heart of Kodaikanal. It is a perfect British era summer retreat. A magical, romantic getaway tucked away in an oasis of lush greenery. The ambience is comfortable and refreshing - filled with the aroma of eucalyptus, lilies and pines. 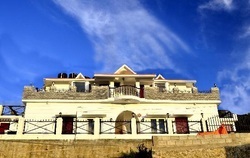 This is a hotel in kodaikanal that is located about 2.5 km from the centre of town. Lilly's Valley is a resort set amid terraced gardens on three acres of wooded land, ringed by towering eucalyptus trees. 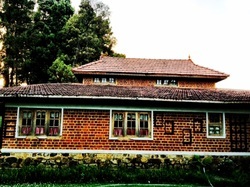 It is in keeping with Kodaikanal architectural tradition: its 21 traditional stone cottages are constructed in the colonial British style, with handcrafted woodwork details throughout. 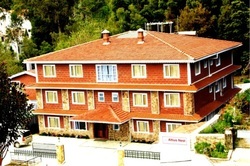 This Kodaikanal hotel is 3 km from the centre of town. Altius Nest Hotel is situated approximately 800 meters from the Kodaikanal Lake on Convent Road. Altius Nest is an epitome of beauty and serenity in fully green surroundings away from the hustle and bustle of Kodaikanal Lake or Kodaikanal Town, though it is at a walkable distance from the Kodaikanal Lake. It is made of eco-friendly material which matches with the surroundings. Altius Nest has spacious, luxurious and comfortable rooms, including Royal Suites, Honeymoon Suites, Deluxe Rooms and Standard Rooms. 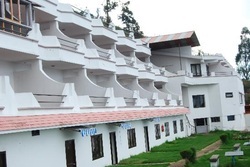 This hotel in Kodaikanal is located about 1.75 km from kodaikanal town. A ten-minute walk from scenic Kodaikanal will lead you to Hotel Jai. 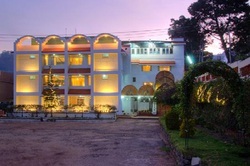 Established in 1968, Hotel Jai was the first modern hotel to be built in Kodai. It is exquisitely furnished and offers the best accommodation. It is equipped with all the modern amenities needed to make the stay comfortable. 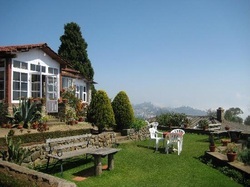 This Kodaikanal hotel is located 1.75 km from town. Nestled on the slope of a gentle hill in the Nilgiri range, overlooking the breathtaking Ketti Valley, Hill Country Holiday Resort, Lovedale provides the perfect escape from demanding city life. 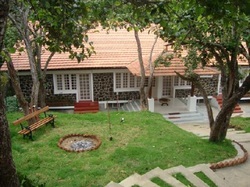 A quiet undisturbed hamlet just a few kilometers short of Ooty town, the setting is idyllic and the weather salubrious. Whether you’re looking for an ideal romantic getaway, a honeymoon destination or perhaps just some time away with the family, you’ll find everything you need right here at Hill Country Lovedale. 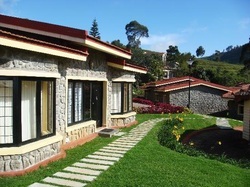 This is a resort in Kodaikanal that is located 8km from Kodakanal town. 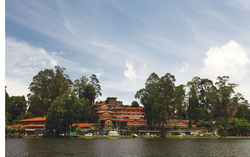 This Kodaikanal resort is less than a kilometer from the town centre, at the junction of Coaker's Walk and Bryant's Park. Hidden from your view by an overgrown wall of sweet-smelling roses, Kodai resort has 50 semi-detached luxury cottages across its acre orchard-garden. Hilltop Towers is a Kodaikanal hotel that offers prompt and proficient services. Emphasis is placed on maintaining high standards of cleanliness. Hotel Hilltop Towers in Kodaikanal spells comfort at the most attractive budget rates. Nestled in the hillside, close to Coaker's Walk in the heart of Kodaikanal, this budget accommodation comprises 11 valley-facing rooms that are maintained with 24-hour room service. 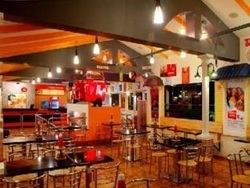 It is catered from its multi-cuisine restaurant. Guests are offered a gamut of holiday activities for recreation. The Villa has a common lounge area with Wi-Fi accessibility, and this space is an ideal venue for a romantic hideout, which presents a fairy-tale ambiance. Guests can indulge in trekking, cycling and exploring the surrounding mountainous region or try their rowing skills in a rowboat. The place also arranges visits to the Solar Observatory and the eucalyptus oil-pressing unit. Panoramic Group United-21 is a Kodaikanal Resort is an idyllic escape from the scorching heat and the teeming streets of the Plains. Panoramic Group United-21 Kodaikanal is an excellent choice for travelers with a range of facilities combining charm with modern technology, to help you unwind. Superbly located with unique panoramic views from all rooms, the hotel boasts of multi-cuisine restaurant, conference facilities and can arrange sightseeing tours. Born out of a family's passion for lavish hospitality, Hotel Gurupriya is an ideal getaway for spending time in the pristine beautiful surroundings of Kodaikanal - the Princess of Hill Stations. The suites are tastefully decorated with all modern amenities; comfort & luxury are matched equally by first-class room service and an impressive assortment of cuisines. 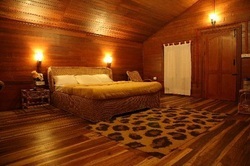 The Boutique Resort is a structure with double tiled wooden roofing and fully carpeted coir floor. A colonial, traditional architectural structure with a fine confluence of traditional hospitality and modernity. The Resort stands out for its accessibility, aesthetic interior and ambiance. Mount Pleasant sits in a lush green and serene setting, amid twenty four acres of berry fruit garden- a perfect antidote to stress. Enjoy the delightful experience of dining in an open kitchen, enjoying traditional regional delicacies. 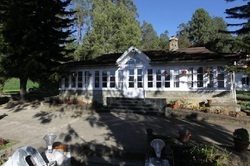 Red Lynch, an old heritage home built over a hundred years ago, is located in a sprawling compound a stone’s throw away from the central Kodai Lake. A gracious English country home built by Mr Hayward of the Hayward Liquor Company, it has a large, manicured lawn and a spacious English garden with a wide variety of trees and flowering plants. The Copper Birch tree in the backyard is the only one of its kind in Southern India and its leaves change colour four times a year! Built at a great location that allows you to view the best of Kodaikanal right from your terrace rooms, with just 5 rooms it just cannot get more private and exclusive than this. B's Hive is 1.5 Kms from the lake and just off the main high way. 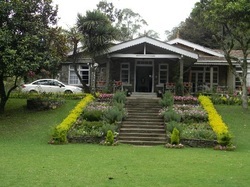 Built in the 1930s, Dalethorpe is a charming English bungalow nestled between the evergreen slopes of Kodaikanal. Though set in close proximity to the heart of the tourist town (Convent Road – less than a kilometer from the lake), it is tucked away in its own little corner away from all hustle and bustle. Surya Holidays is set on a sprawling 32-acre hilltop estate. The Pride rock cottages are a set of premium home-stays, just 2 kilometers from Kodai Lake. The cottages are located on the Sivaganga Estate on Observatory Road. There are six cottages in total. At the Priderock cottages, one can feel right at home, but at the same time experience the serenity and bliss of Kodaikanal. There is plenty of green open space with kennels, dogs and horses stables. 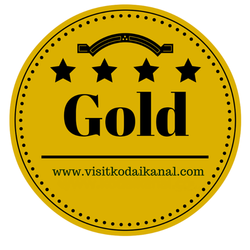 Kodai-By The Lake (the erstwhile Lake View) holds a special place in the history of Sterling. The resort is situated on the banks of the picturesque Kodai Lake and styled on the lines of English countryside to compliment the English styled villages that dot Kodaikanal. The room interiors reflect the same feel with the decor planned to exude an understated but warm elegance.